Life on three legs isn’t always fun and games. 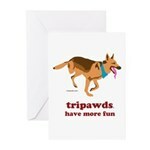 Tripawds clearly do enjoy every moment of life to the fullest, but there inevitably comes a time to say goodbye to all of our three legged friends. With this post we are introducing a line of beautiful pet memorial jewelry available from our new affiliate partner, Heartsmith – perfect for keeping loved ones lost, close to your heart. Stay tuned for more item details from this wide selection of pendants, lockets and vessels. Ideal for holding photos and fur clippings, the Heartsmith Pet Jewelry and Lockets selection includes receptacle vessel pendants suitable for holding ashes or perfume. 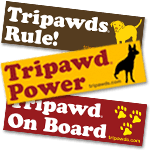 Tripawds only partners with affiliate merchants which we find suitable for representing this community in terms of quality and craftsmanship. Heartsmith makes the grade in our books. 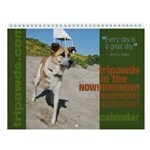 For those three legged heroes who have passed – and their people – we salute you.